Имате въпрос към TS Hut Lembongan? TS Hut Lembongan е предпочитан както от пътуващите по работа така и от туристите заради качествения и удобен престой, който предлага квартал романтика, плажове, спортове на Бали. Хотелът се намира на от центъра на града и осигурява достъп до важните места на града. С удобното си местоположение хотелът предлага лесен достъп до всички градски забележителности, които задължително трябва да се видят. TS Hut Lembongan предлага безупречно обслужване и необходимите удобства, за да удовлетвори гостите си. Безплатен WiFi достъп във всички стаи, съхраняване на багаж, Wi-Fi връзка в общите части, паркинг, рум-сървиз са само част от нещата, които отличават TS Hut Lembongan от останалите хотели в града. Влизайки в една от 6 уютни стаи, ще забравите за ежедневния стрес с помощта на удобства и съоръжения като безжичен интернет достъп (безплатен), климатик, бюро, минибар, балкон/тераса в някои от тях. Хотелът предлага прекрасни развлекателни съоръжения, такива като открит басейн, градина, които ще направят престоя ви незабравим. TS Hut Lembongan е идеално място за туристи, търсещи чар, комфорт и удобство в Бали. Отседнахме 3 вечер/и в май 2018 г.
Отседнахме 2 вечер/и в май 2018 г. Beautiful place with a nice pool! However, there are generally more bugs in Nusa Lembongan and it may be a little hard to adjust the water temperature. We had an issue with the air con on the first day and informed the staff, the issue was fixed when we returned at night. Overall, we're happy with what we paid for! 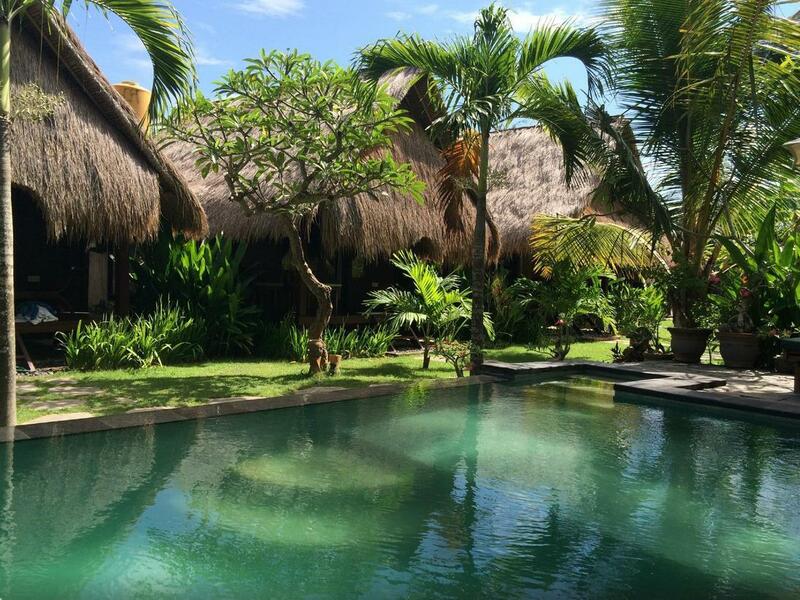 This is my 1st time in Nusa Lembongan & I would say my choice was the best I’ve made. Staff are super attentive & always wanted to make your day great with all the helps. The room is great too with a very lovely garden, although we ran into a pipe failure during a night of our stay but the owner himself Mr. Widia came & fixed it in a instance. Overall I would say I had the most pleasant stay here & definitely will come back & stay here again! Highly rated! Отседнахме 5 вечер/и в септември 2017 г. This place rated highly and we can see why. 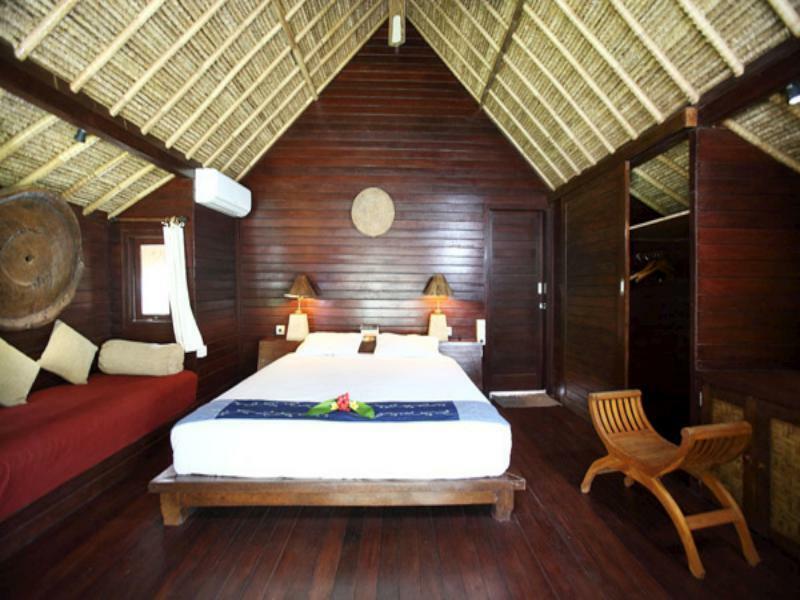 All you need for a Lembongan stay. Classic bungalows with the outdoor bathroom. A quick stroll up the road from Mushroom Beach. Lots of eating and drinking options close by. Very nice gardens and pool area. Staff very friendly and helpful as always in Lembongan. Had 3 nights at TS Huts and would definitely go back. Staff very welcoming and friendly and good food. Huts were really nice and clean. We hired a golf buggy from a place just 30 seconds at the end of the road as we had 4 adults and 2 kids. Much easier to travel to get around. Cute little huts near mushroom bay, they were fully booked during our stay, which would have been fine but our air conditioner wasn't working and had the worst nights sleep because of it. They tried to fix it but in the end we moved hotels. If the air conditioner wasn't an issue, everything else was fine. Pool is small but refreshing, gardens lovely. Overall, we recommend this location. The biggest drawback is a bar located right across the street that provides some pretty loud noise at night. The amenities are sparse and breakfast was just OK. It is in walking distance to Mushroom Bay and nice restaurants there. Easy to travel around and book excursions as well. The grounds themselves are well kept and provide a tiny paradise (save for the noise). The Hotel also provides a snorkeling trip. Please request if you need an assistance or guide to accompany you for snorkeling, otherwise guests have to snorkeling by their own. Amazing friendly staff, The cold cloth and complementary welcome drink was amazing and much needed on arrival :)! The accommodation was beautiful, and the swans made out of towels were very cute. The pool was right outside our hut and we hired scooters which made getting around the island very easy! Great convenient location close to swimming beach. Lovely staff and good food. Very clean rooms with good aircon. Got a small swimming pool in d very hot island ! We stayed at the 1st room that facing the snall swimming pool. The door obviously can't close and therefore, no way for u to lock yr room ! The water for shower & brushing teeth seems salty while opp hotel (Alam Nusa Bungalow Hut) not only cheap rate yet d water absolutely NOT salty ! Worst, d air-cond here like DISPLAY only as u couldn't feel any cool air at all ! Stuffy in d room throughout while day ! Very nice hotel,the boss couple is very friendly!Very beautiful hotel view.We like it so much.No doubt that we will live here next time when we come to the island.The hotel food is also good . Отседнахме 4 вечер/и в януари 2016 г. Swimming Pool was wonderful. Walking distance to Mushroom Bay and a variety of warungs / restaurants. Owners spoke excellent English and were helpful & friendly. I liked lots of things about the TS huts. The location was great. The attached warung served delicious food at great value prices. The staff were lovely and helpful and I could rent a motorbike / buggy, organise snorkelling & diving all from the hotel. I don't think this is a great place for kids to stay because there are no mozzie nets on the bed, an outdoor bathroom and the rooms were small & dark. Also no TV or tea & coffee making facilities. It's fine for couples though. Отседнахме 4 вечер/и в септември 2015 г. Best 3 things, location, outdoor bathrooms, hut style bungalows are very private. Отседнахме 5 вечер/и в септември 2014 г. Owners are quite friendly, i cut my feet when get there, they helped me with taking care of the wounds. It's 1 minute walking to the beach, but 15 minutes driving to the central town and dive centers. But, they offered us a free motorbike to everywhere.